Although medical experts have long known that the presence of risk factors was a predictor of heart disease across time, gender and race, Dr. Berry noted that the concept of lifetime risk represents an important change in how individuals and their physicians will approach heart disease risk and prevention. Examining the results of longitudinal studies over the past 50 years, investigators found that people with two or more major risk factors in middle-age had dramatically higher lifetime risks for cardiovascular death, myocardial infarction and stroke across the lifespan. Similar trends were observed across all race and age groups. The scientists used data collected in the Cardiovascular Lifetime Risk Pooling Project, measuring risk factors of more than 254,000 participants – including black and white men and women – at ages 45, 55, 65 and 75 years. Individuals with multiple risk factors had substantially higher lifetime risks for heart disease – as much as 10 times the rates of those without risk factors in some cardiovascular disease categories. 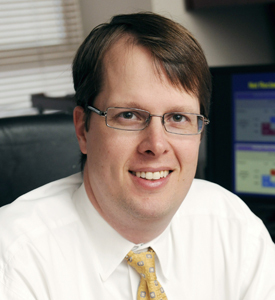 Most previous studies on heart disease risk estimates have focused on short-term risk over a five- or 10-year period, said Dr. Berry, who took part in the investigation while at Northwestern University Feinberg School of Medicine. Heart disease is much more common in older age, and therefore, nearly all individuals younger than 50 are considered low-risk. “But most adults in the U.S. considered low-risk in the short term are actually at high risk across their remaining life span,” he said. This latest study also showed that the decline in cardiovascular disease rates over the past several decades reflects changes in the prevalence of the risk factors rather than access to and effects of better treatment, Dr. Berry said. Smoking and cholesterol levels have fallen in recent decades, for instance, due to behavioral changes in the general population. Nevertheless, researchers found that the long-term risk for cardiovascular disease within each risk factor group has remained similar. “Regardless of where you were born or when you were born, the effects of risk factors on lifetime risk for heart disease are about the same,” Dr. Berry said. Therefore, preventing the development of risk factors in the first place will be more effective than treating the effects of these risk factors once they develop, researchers concluded. The study was funded by the National Heart, Lung and Blood Institute. Senior author of the study was Dr. Donald Lloyd-Jones, chairman of preventive medicine at Northwestern University Feinberg School of Medicine. Other scientists from Feinberg School of Medicine, the University of Minnesota and the University of Vermont College of Medicine also participated in the research.